Heat 4 cups of water in a pot. 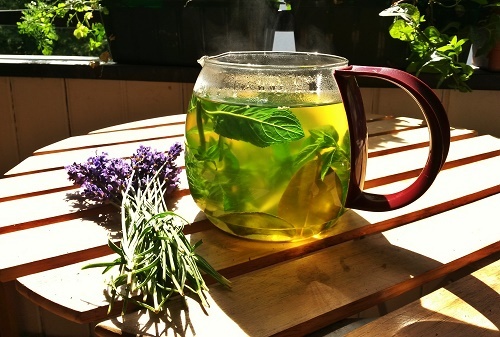 When the water comes to a boil, drop a cup of fresh mint leaves and ¼ cup of fresh lavender petals in it. Turn the heat off and leave the pot covered, allowing the leaves and petals to steep in the water. Strain them out after 15 minutes and serve hot.